Pleasant Valley Missonary B.C. - For more information on PVMBC upcoming events,please go to FYI, Calendar of Events, and News tabs.﻿﻿Follow Us on YouTube: PVMBC of New of New Orleans or Click on the link below:https://www.youtube.com/channel/UCbr4J71u93OKEyUZyldlXvw﻿ Mission Statement: The Pleasant Valley Missionary Baptist Church aspires to seek and to save lost souls and to inspire and foster spiritual growth and development through teaching and ministering in environment of friendship and love﻿. 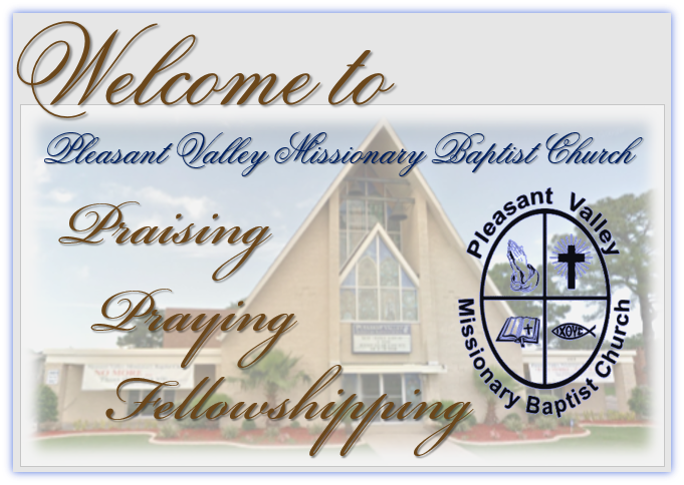 Mission Statement: The Pleasant Valley Missionary Baptist Church aspires to seek and to save lost souls and to inspire and foster spiritual growth and development through teaching and ministering in environment of friendship and love﻿.